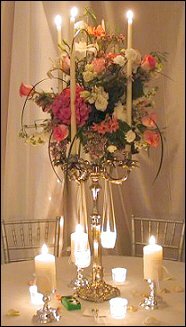 For An Extensive Gallery Of Custom And Elegant Designs, Click Here To Visit Our Second Site -- nyfloral.design! 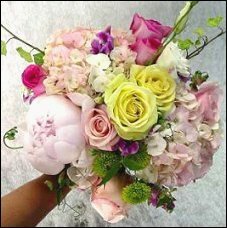 Make New York Floral Design your first choice for premium fresh flowers and upscale design artistry for your dream wedding and all your special occasions! We take special care to ensure the bouquets and on-site décor reflect your individual style and budget…whether you prefer timeless tradition or a sleek contemporary look. You may decide to choose a theme when planning your wedding or party. Some of these include: The Beach, English Garden, Winter Wonderland, Butterflies, Asian, and other fun and unique ideas. Each wedding we do is custom-designed with you in mind! Our wedding consultants can suggest many beautiful design styles to create the look you hope to achieve. 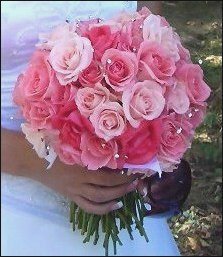 bride & attendants’ bouquets ~ essential wedding party flowers ~ corsages & boutonnieres ~ ceremony décor ~ candelabra flowers ~ garlands of flowers & foliage ~ table centerpieces ~ flowers for cake tables ~ topiaries ~ archways at the reception site, etc. At this exciting and hectic time, you can relax and trust our team of professionals to help you choose a bouquet that’s just right for you! We can create a personalized look by adding embellishments to your bouquet & bouquet handle with sparkling touches or accents like crystals, pearls, berries, butterflies, rhinestones, fruit, feathers and almost anything else! 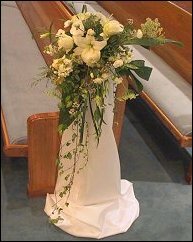 Wedding/Party Rentals, Pedestals, Candelabra, Columns, Arches, etc. New York Floral Design is more than just your average florist. We'd love to make ALL your special days, EXTRA special! Our shop is located at 2433 N Federal Highway in Boca Raton, Florida. Call us in advance at (561) 338-5355 to schedule a consultation, so we can hel p you start planning your next successful event! It’s sure to be truly magical with flowers from New York Floral Design!